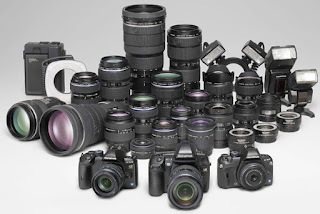 If you have purchased Digital SLR camera or a Micro Four Thirds (MFT) or Mirrorless camera, then you definitely want to have an additional lens. 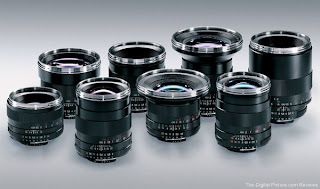 Any lens that you will be sure to buy according to your needs. Usually the novice photographer will buy a versatile zoom lens and wide angle lenses. After mastering the use of the camera, then you'll start to think buying another lens such as fish-eye lenses, telephoto lens or macro lens. The lens is a device in which photography has a long life. During this digital age there is practically no significant changes in lens technology that makes the entire lens must be replaced because of technological changes on the body. The following tips on choosing a lens. Fixed lens has advantages in terms of optical quality and wide aperture. While the zoom lens has the advantage of flexibility and mobility of use. At the time of traveling, would not want to bother with carrying three or more fixed lens to capture the entire moment that happened. In contrast at low light conditions, would have difficulty in capturing moments that occur when using the largest aperture zoom lens with f / 4. Therefore, fixed lens and a zoom lens has the motion of each that must be put to good use by photographers. As an initial guide you should have a zoom lens with a normal range (17-50) first, then a fixed lens included in your shopping queue.50mm or 85mm fixed lens is often chosen as the first fixed lens. Some already have a zoom lens optical quality equivalent to the fixed lens. To select a zoom lens like this should of course be obtained by reaching deeper pockets. Owned by the aperture zoom lens like this is generally constant and quite wide, generally is f/2.8.If sufficient funds are not hurt if a lens like this have as your main lens. If funds are not too large, it may be 3rd party lenses can be an attractive option. 3rd party lenses often steal the show through the optical quality is no less than 1st party lenses. After comparing prices, 3rd party lens is certainly more tempting. However there are many people who still doubt the ability of the 3rd party lens. Can not blame it, saying there is no price in the world of photographic quality often missed.Shortage of 3rd party lenses are usually located on the build quality is not as good as 1st party lenses. Besides the quality of the same type of products with one another is often uneven. Therefore, we often encounter the term "good copy" and "bad copy" sticking out of the discussion on 3rd party lenses. More economical prices on 3rd party lenses make this lens remains a target device list for the photographer who put quality on a limited budget. Feel free to test before buying and do not forget to ask for after-sales service guarantee. Before you buy new or used lens, you should see the reviews in the photography magazines or reviews on the Internet. You also can discuss with friends who are already experienced. If you're ready, just choose a lens that fits your budget.